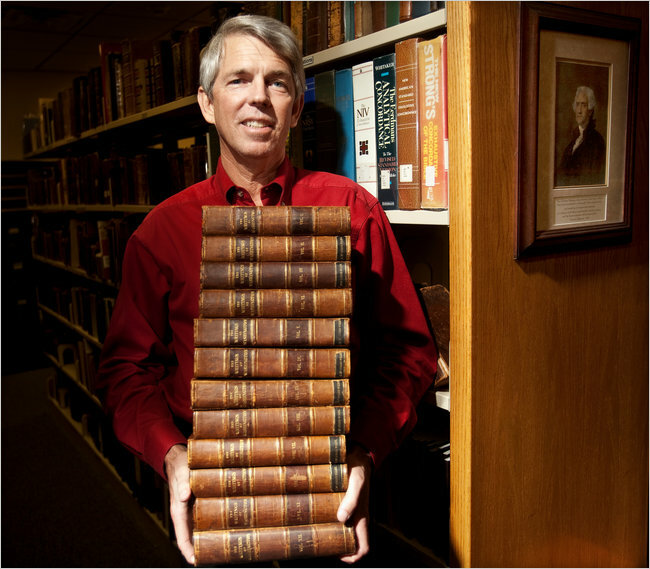 Is David Barton a Typical Christian Apologist—a Liar? I almost wish that there would be a simultaneous telecast and all Americans will be forced, forced—at gunpoint, no less—to listen to every David Barton message. And I think our country will be better for it. Sounds typically right wing hypocrisy in view of the GOP’s supposed libertarian principles. Still, Barton’s supporters call him a hero, while his detractors think he is sowing confusion and misinformation. One way that he does it is by writing “Christian history” books about the founding of America, lately one called The Jefferson Lies which made The New York Times best seller list. He boasts he has collected and analyzed 100,000 documents from before 1812—original or certified copies of letters, sermons, newspaper articles and official documents of the Founding Fathers. He says they prove, contrary to conventional wisdom, that the Founding Fathers were deeply religious men who built America on Christian ideas. Barton’s popularity notwithstanding, conventional wisdom begs to differ! Critics accuse Barton of misinterpretations and errors, says Thomas Kidd writing for World Community , and even some conservative Christian scholars are now openly questioning Barton’s work. Readers of the History News Network voted The Jefferson Lies as the “least credible history book in print”. Barbara Bradley Hagerty, writing a column syndicated by National Public Radio, points out David Barton is not a historian. He has a bachelor’s degree in Christian education from Oral Roberts University not in history, and has only published one peer reviewed article. It seems that Christian Education frankly must mean lying (see Liars for Jesus , by Chris Rodda). Honest researchers, historians included, try to tell the truth, but Barton has qualified critics who say he tells lies, damned lies, and cannot understand statistics. Barton is being criticized by many scholars and historians, not simply for taking a different view of American history but for changing historically documented facts to further his own agenda. He is accused of cherry picking old documents on American history, selectively quoting them to make them say what he wants them to say, a popular ploy of Christian apologists, utterly dishonest but approved by most gullible evangelicals. Critics find his work riddled with unjustified historical revision with which he has misled millions of credulous Christians and gotten rich in the process. Such consistent misinterpretation cannot be other than deliberate, historians say. He is even alleged to have tried to silence critics through the courts, using his ill-gotten wealth. Jay W Richards of the creationist Discovery Institute has spoken on the same platform as Barton at Christian conferences, but openly said Barton’s writings so troubled him he asked 10 conservative Christian professors to assess his work. Many concurred with Richards. Glenn Moots of Northwood University wrote that Barton, in his desire in The Jefferson Lies to portray Jefferson favorably for Christians, omits obvious evidence that Jefferson was in no way an “orthodox, creedal, confessional Christianity”. Gregg Frazer of the Master’s College, exposed factual claims in Barton’s video, America’s Godly Heritage , as being at least dubious. An example is the statement that “52 of the 55 delegates at the Constitutional Convention were ‘orthodox, evangelical Christians’ ”. Glenn Sunshine of Central Connecticut State University went further, saying Barton’s ideas of Jefferson’s religious views are “unsupportable”. Jefferson, unlike the other presidents, closes his documents: “In the year of our Lord Christ”. He did not point out that Jefferson was adding his signature to a pre-printed form required by law. Barton goes on to say that Jefferson started church services at the Capitol, that he ordered the Marine Corps band to play at the services and that he funded a treaty to evangelize the Kaskaskia Indians—three claims that experts say are demonstrably false. There laid they Jesus: and rolled a great stone to the door of the sepulchre, and departed. Barton insists that Jefferson not only bought a copy of the Bible, but invested in a 1798 edition, showing his philosophical support for the sacred text. Doubtless, he wanted a copy to write his own version of it! But he claims Congress published the first American Bible in 1782, and intended the Bible to be used in public schools. Barton is quite wrong in these facts and his conclusion. Congress did not publish or pay for the 1782 Bible. At the request of Philadelphia printer, Robert Aitken, Congress agreed to have its chaplains read for errors the bible he was printing at his own expense. Honest historians agree it was not a government promotion of religion. Had his plans been followed, Virginia would’ve ended slavery really early on. They would have gone much more toward civil rights. He was not as advanced in his views of slavery as say, John Adams in New England, but he certainly was no racist in that sense. Mr Barton is presenting a Jefferson that modern day evangelicals could love and identify with. The problem with that is, it’s not a whole Jefferson. It’s not getting him right. Barton accuses Throckmorton and Coulter of being “academic elitists” posing as the “sole caretakers of historical knowledge”, and hostile toward his “personal religious beliefs”. It is a popular apologetic ploy to denigrate proper scholars in defense of Christian falsehoods. Thomas Jefferson hated African-Americans. He hated the color of our skin. He talked about how inferior we are, in both mind and body. All in their hearts they [Right wing evangelicals like Barton] are saying, “If we could just go back there, America would be right”. Right for who? Not for blacks, not for women, not for Native Americans. Only for white men. None of the founders were necessarily interested in promoting a specifically Christian nation. Many of the founders believed in something akin to separating church and state even though they didn’t use those terms. And in fact, most of the people in America were not regular churchgoers. So what is that great culture that we’re returning to? I’m not trying to throw the nation back 200 years. I don’t want the technology to go backward, I love the health [care] stuff we got now. What I try to use is principles that are timeless. He loves ObamaCare?! And what about the timeless Christian principle, indeed necessity that Christians should give all they have to the poor! 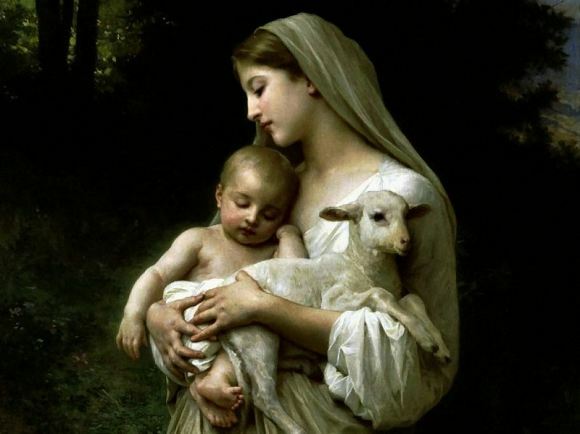 “Sell what you have, and give to the poor and you will have treasure in heaven, and come follow me.” At that saying his countenance fell, and he went away sorrowful, for he had great possessions. It means that Jesus required the rich to give all of their wealth to the poor to be saved. The treasure in heaven is obviously not gold nuggets or silver dollars, it is salvation itself, but the rich man preferred his material wealth to salvation. They all do! Not one of them can be a Christian and be rich. Jesus is quite clear about it. No rich Christian can be a Christian! You look at Article 3, Section 1, the treason clause. Direct quote out of the Bible. You look at Article 2, the quote on the president has to be a native born? That is Deuteronomy 17:15, verbatim. I mean, it drives the secularists nuts because the Bible’s all over it! Now we as Christians don’t tend to recognize that. We think it’s a secular document. We’ve bought into their lies. It’s not. When you do as he says you find that none of this is true. The Constitution of 1787 does not speak of God or religion except to prohibit a religious test for office. It is the First Amendment which mentions religion. John Fea says Barton is peddling a distorted history that appeals to conservative believers. David Barton is offering an alternative vision of American history which places God, the providence of God, Christianity, at the center. He’s in this for activism. He’s in this for policy. He’s in this to make changes to our culture. So we’re talking 30 years from now. But, it’s in the pipe coming down. You go back to the Founding Fathers, as far as they’re concerned, they already had the entire debate on creation-evolution. And you get Thomas Paine, who’s the least religious Founding Father saying, ’“You’ve got to teach creation science in the classroom. Scientific method demands that”. It all goes to show that Christians will believe just anything that suits them! Update: As this article was being composed Thomas Nelson decided to stop publication and distribution of The Jefferson Lies . See Warren Throckmorton”s website. Update: July 20, 2012 America’s “Nones”—the nonreligious—are at an all time high, now comprising nearly one in five Americans (19 percent), according to a new study by the Pew Center for the People and the Press. The 19 percent count is based on aggregated surveys of 19,377 people conducted by the Pew Research Center throughout 2011 and reported by USA Today. Nones are the second largest “denomination” in the nation following Catholics, up from joint third with Baptists. Nones were already the fastest growing segment of the US population, according to the definitive American Religious Identification Survey, whose 2008 study showed adult Nones up to 15 percent from 6 percent in 1990. ARIS, released in 2009, actually estimated Nones at 20 percent. A 2009 Pew Forum on switching religious opinions found more than 10 percent of American adults became Nones after growing up within a religious group. Most minority religions, however tiny in numbers, are treated with respect, inclusion and sometimes deference. It’s time public officials and the American public wake up to the changing demographics and stop treating atheists and agnostics as outsiders. With nonbelievers at about 20 percent of the population, there is no longer any excuse for leaving us out of the equation. Public officials cannot continue to assume all Americans believe in a deity, or continue to offend 20 percent of the population by imposing prayer at governmental meetings or government hosted events. These surveys now show that “In God We Trust”‘ is a provenly inaccurate motto. Nonbelievers should not be treated as political pariahs. FFRF, the Freedom From Religion Foundation—the nation’s largest association of freethinkers, atheists and agnostics—based in Madison, Wisconsin, aims to keep religion and government separate. It is a 501(c)(3) nonprofit educational charity. 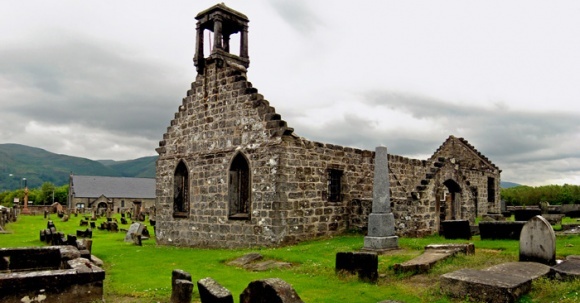 By the end of the 1830s, Scotland had ceased to be an integrated Christian community in any meaningful sense… Gone were the days when all classes had assembled in tolerably harmonious unity within the walls of the parish kirk. The decay of Christian fellowship was manifest in the increasing alienation of the “lower orders” from every kind of religious faith and practice. Christianity has been in terminal decline in Europe for 200 years. Though the USA likes to claim it is a 90 odd percent Christian nation, it is a claim that has been utterly demolished by recent research showing that a large majority of US Christians know practically nothing about their own religion. They know nothing about the story of Christ, and mainly don’t care anyway because they already know The Truth. They know even less about the awful history of Christianity, nor Christ’s admirable moral teaching, and again they couldn’t care less because… they know what matters to them, even if it is wrong! Finally they have risibly wrong notions about the US being some sort of theocracy. What remains is around 20% of the US population who can be considered genuine Christians, much closer to the proportion in most western countries. It ought to give the rest pause to consider that US Christianity is a right wing political plot, but it does not, of course. Few of them have the guts to come clean and admit they haven’t a clue what Christianity’s about for fear of not being respected by the rest, three quarters of whom are in the same pretence. Hugo Gatsby, the leader of a new team blog, the God debates, on wordpress.com, says his aim is to provide high quality discussion on important questions, drawing on a panel of eleven others. So far, there is not much there but he and his team have been diligently posting on other relevant blogs including this one to create interest, and they have succeeded. In return I made a couple of comments on the discussion on their page called Recommendations, unfortunately but predictably, being taken over by the tedious ignorance of the creationists. Hugo will have to curtail this dreary, mindless fundamentalism if he is to achieve the “Genuinely Intelligent Discussion on Theological Questions” his subhead promises. We all are serving someone or something—a good question to reflect upon would be—who or what are you following and what defines your purpose? Every person acts in their own best interest… there are “Good” and non-destructive ways to act in your own self interest and the interest of others and there “Evil” and destructive ways to act in your own self interest and the interest of others… choose wisely my friends. We are all serving two things ultimately. Our own interests, and other people’s interests. If all of us choose to serve only our own interests then society must collapse because society is a way for people to serve each other. 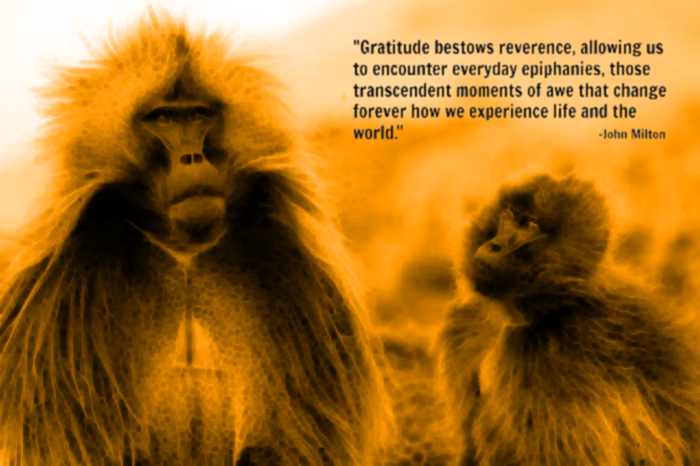 We would revert to being solitary animals, mutually antagonistic, scared, timid, primitive. By serving other people’s interests we are helping to preserve society, and by so doing we are helping ourselves, the point of society being mutual aid, and therefore being served by carers and sharers, receiving the empathy and security of our fellows, cooperation, help, companionship, and so on in the complex of practical assistance and emotions called love. What is “good” preserves this benevolent system, and what is “evil” harms it. The choice is the entirety of morality, and requires no supernatural being, merely the response of society, approval or disapproval, praise, admiration and reward for doing good, and disgust, condemnation and punishment for being wicked. Traditional religion provided these responses, but modern society uses democratic means of selecting its representatives, so that supermen are not needed. One therefore has no need to choose between belief in a god or not, because it is irrelevant provided that everyone accepts that religion is a private matter. Arguably, religion always has been a set of myths to exemplify the practical choice we have and to encourage the choice of the Good. The Persian religion, from which much of Judaism and Christianity comes, came down to choosing to follow the good god, Ahuramazda, or the bad god, Ahriman, in the course of one’s life, expressed as choosing the Truth or the Lie. All the rest is a metaphorical or allegorical illustration of our choice. A-theist… “no god” or “without god”. Curious way to describe one’s self. Defined by opposition to something or someone you say doesn’t exist anyway. Why all the fuss over those who do believe? If there is no god, then why not let others believe what they want and leave them be? Why the “compulsion” to not only define yourself by what you don’t believe, but also convince others not to either? Sounds too much like “proselytizing” to convert people to the “non-religion” religion. Could it be that Atheism is actually a religion of no religion? Surely you have noticed that atheism is a word used by theists, not one chosen by the atheists themselves. The proper distinction is between skeptic and believer. Skeptics require tried and tested evidence for them to believe, but believers make belief itself without the need of adequate evidence a virtue–faith! It is obvious that faith is no virtue but a scam when you realize that an equal faith could have you believing in fairies and goblins, alien abduction, Dionysus, Cthulhu, Dagon and so on. Indeed, the Hebrew god is quite likely to be their version of Dagon! Lastly, the atheists have no love of trying to persuade believers of the errors of their ways, but do so because they are acutely aware of what the believers cannot seem to notice, the horrible consequences of religion in the world. Religions overwhelmingly want to be right and show it by making everyone accept their set of dogmata. It is hard to comprehend that people are so blind that they are completely unaware of their own faults, while blaming anyone else they can. The self righteousness induced by religion is among its worst features.